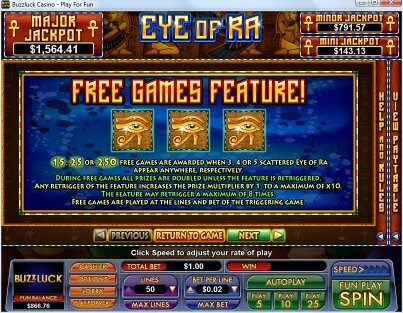 Overview: Travel back into Ancient Egypt's mystical land, in the Eye of Ra, from Nuworks Gaming. 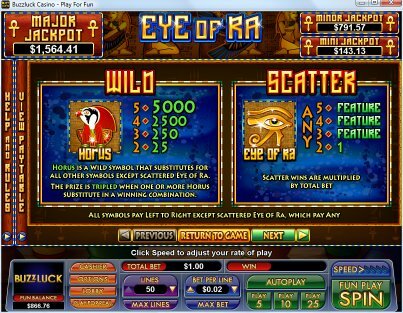 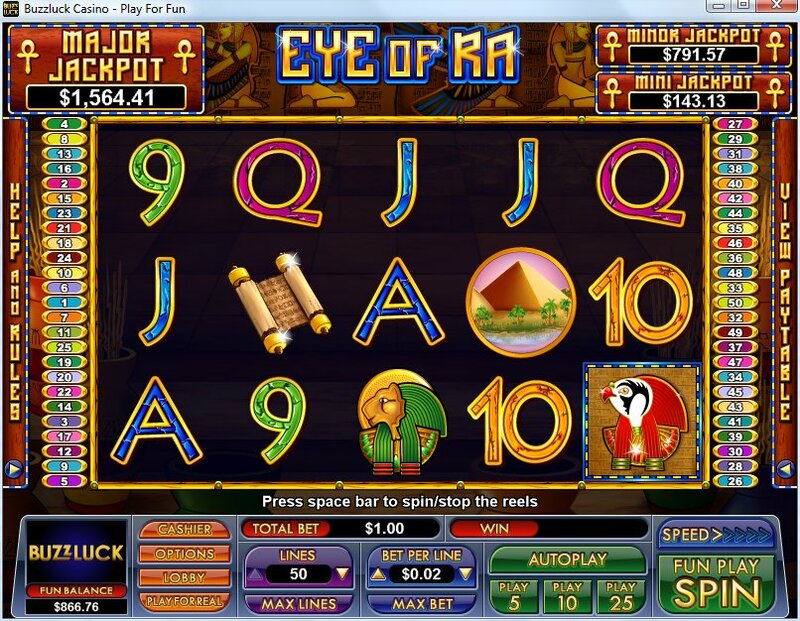 Eye of Ra is a 50-line game with superbly detailed graphics and animation and filled with incredible chances to win up to an impressive 250 free games with prizes doubled! 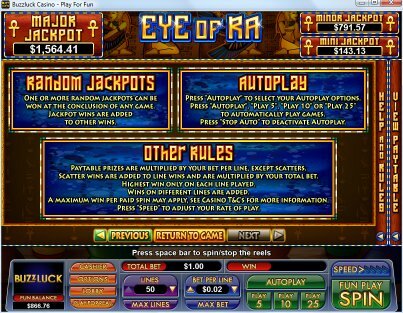 Any retrigger of the free game feature increases the prize multiplier by 1, up to a huge times 10! 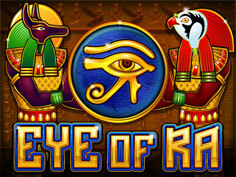 Re-discover the lure of the Ancient Egyptians as you enter the tombs of treasure in this stunning new slot. 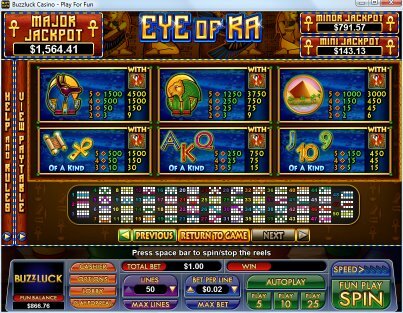 Similar Slots: If you like Eye of Ra, you might like these other slot machines from NuWorks: Cashed Up, Duel in the Deep, Stagecoach, Sword of the Samurai, The Champ, Watchdog.